Is reporting on suicides necessary? When I moved to Namibia in February 2006, I did what I always do when arriving in a foreign land: buy the papers. 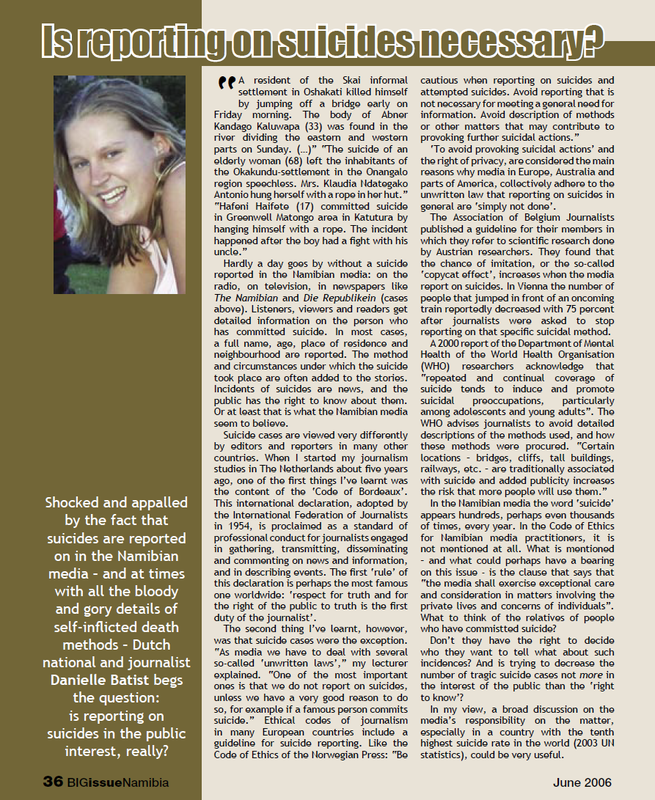 One of the first things that struck me was the way the Namibian mainstream press reported on suicides. Unlike in most countries, suicide reports here appeared on a daily basis, often including a detailed description of the method used. After a conversation in the newsroom of The Big Issue Namibia the editor asked me to write an opinion piece on the topic.